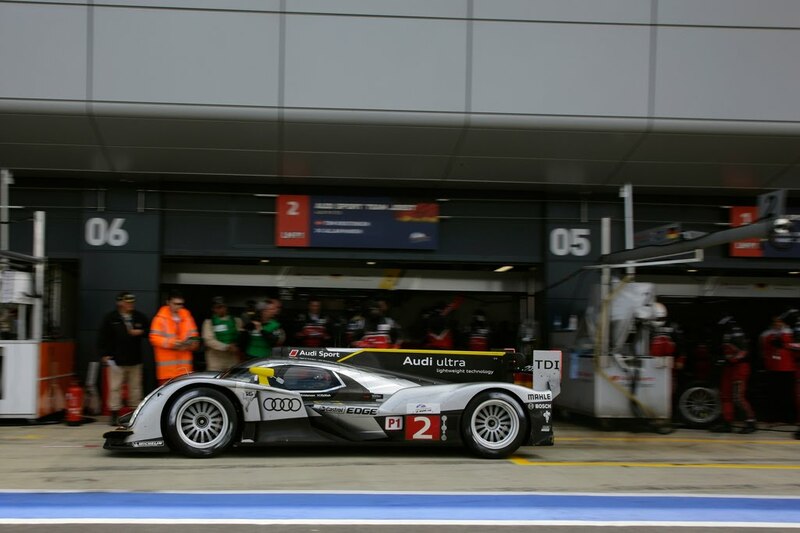 An unfortunate set of events unfolded for Audi on Sunday, resulting in a second place finish at the 6 Hours of Silverstone. 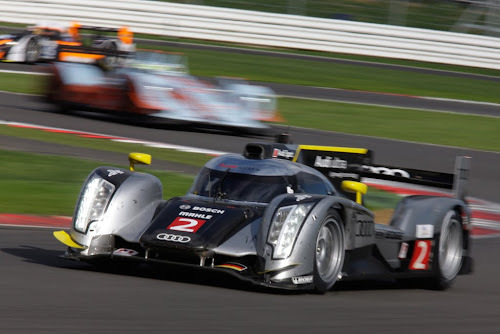 Contesting two R18 TDIs, Audi Sport kicked off the race impressively as Allan McNish in the #2 quickly took the lead from Peugeot just eight laps in. 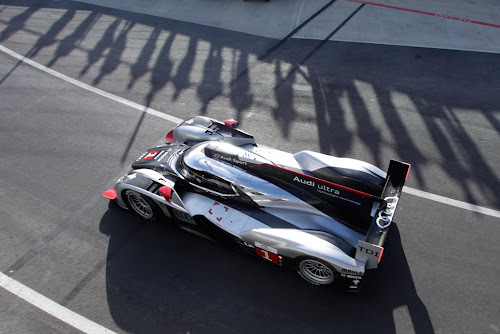 Contact with a GT-class car though would ultimately knock the #2 the back of the field, placing all hope on the #1 driven by Timo Bernhard and Marcel Fässler. A broken taillight would cost the #1 team valuable time on pit road however, ultimately leading to a second place finish behind Peugeot. Full report after the jump. 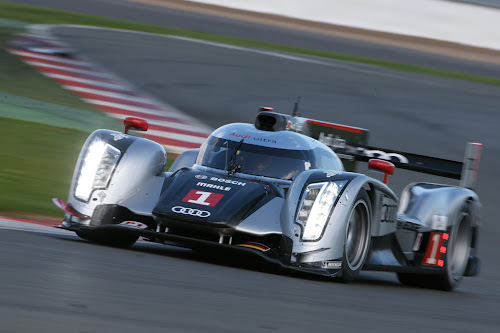 Ingolstadt/Silverstone, September 11, 2011 – The 6-hour race at Silverstone (Great Britain) in which the two Audi R18 TDI cars of Audi Sport Team Joest on positions two and seven were beaten below their performance potential was perfect advertising for the new FIA World Endurance Championship to be launched in 2012. 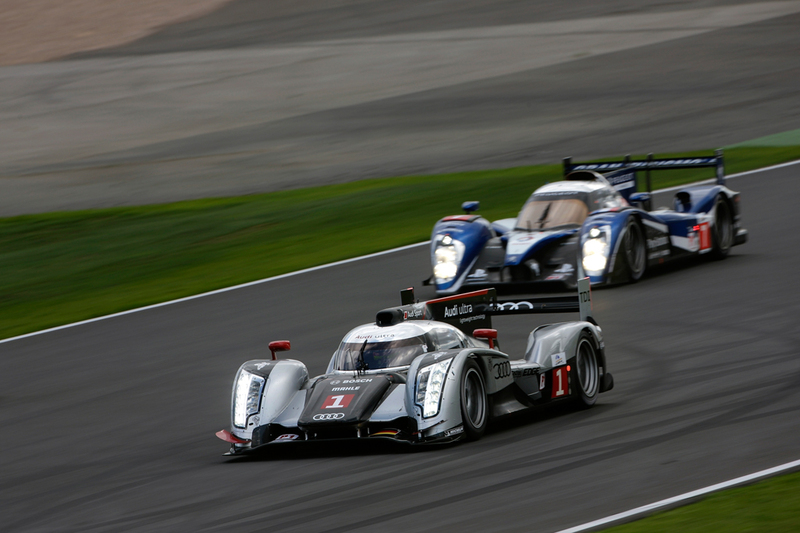 From the first lap on the spectators at the fifth round of the Intercontinental Le Mans Cup (ILMC) witnessed fascinating duels between the diesel sports cars from Audi and Peugeot. 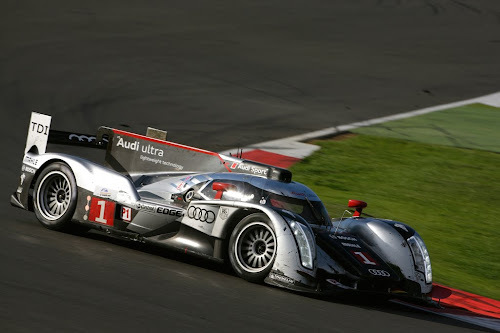 It took Allan McNish in the Audi R18 TDI designated as car number "2” only eight laps to grab the lead from the Peugeot driven by Frenchman Sébastien Bourdais who had started from the pole position. 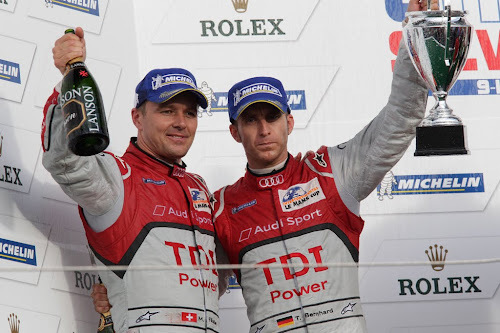 In the "sister car” Timo Bernhard was putting pressure on Franck Montagny in the second Peugeot before the Frenchman touched another vehicle and spun off the track. Afterwards Allan McNish and Sébastien Bourdais at the front of the field overtook each other several times. 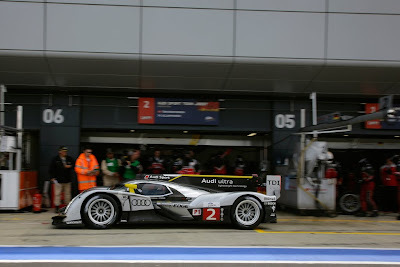 Shortly before the end of the first hour the number "2” car lost any chance for victory when the Audi driver was hit by a GT vehicle. Replacing the front left suspension cost six laps and caused the R18 TDI #2 to drop to the rear of the field. 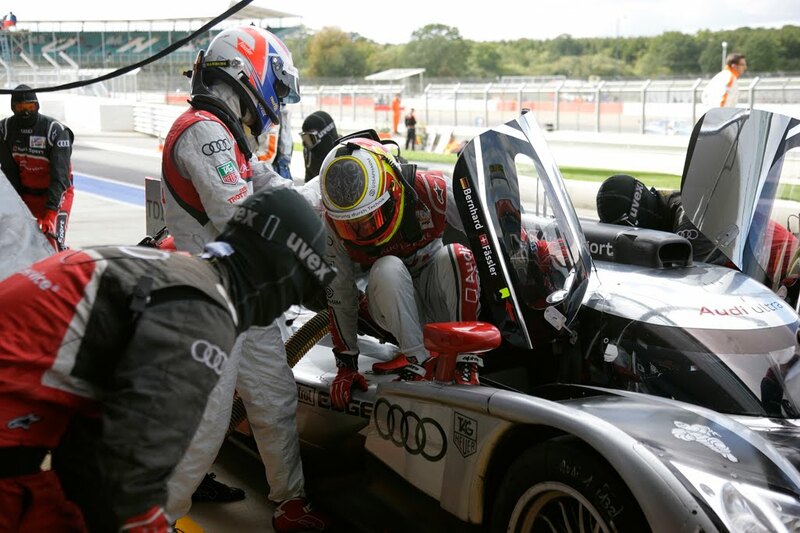 Although the steering wheel was no longer perfectly straight after the repair Allan McNish and Tom Kristensen in the end managed to recover to position seven. That the opponent in the accident had to sit a longer stop-and-go penalty was only little consolation to the two. All the hopes of Audi Sport Team Joest then rested on Timo Bernhard and Marcel Fässler in the #1 Audi R18 TDI that was fighting a thrilling duel for the lead with the second Peugeot. A particularly impressive performance was delivered by Marcel Fässler, who in the third hour made up a gap of over 30 seconds to Simon Pagenaud in the Peugeot, overtook the Frenchman and moved to the front of the field. 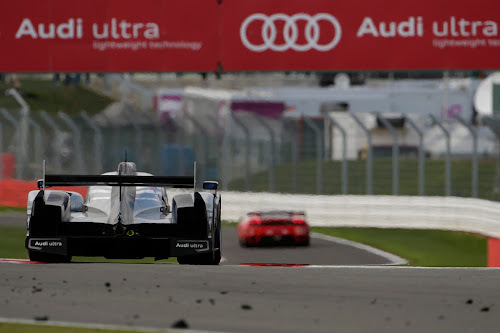 After the driver change Timo Bernhard defended the lead despite the fact that the rear of the Audi R18 TDI had previously been damaged during slight body contact between Fässler and a slower prototype resulting in a loss of downforce on the rear axle. 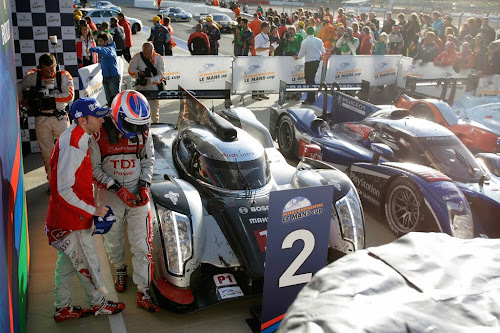 Fans will not have to wait long for the next race of the fascinating sports prototypes: The penultimate round of the Intercontinental Le Mans Cup that will become the FIA World Endurance Championship in 2012 will be held at Road Atlanta (U.S. state of Georgia) on October 1st.